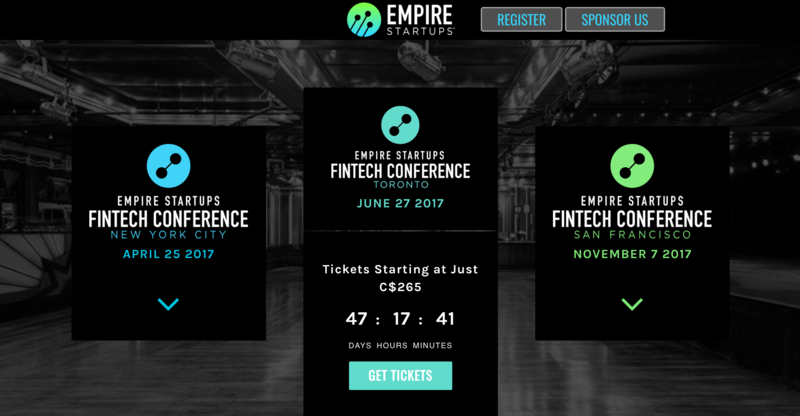 Empire Start-ups Fintech Conference will bring together the Best Canadian & US Fintech Leaders. Join 300+ Attendees and Hear from the most prominent founders, investors & experts disrupting the industry, Build relationships with the key players in the FinTech ecosystem and Stay ten steps ahead with the keynotes, panels & hot startup demos. Can FinTech overcome inertia to change user-behavior? Not only has a mobile-first product strategy risen to popularity, a mobile-only strategy is now fathomable. What's beyond check-deposits and mobile wallets? How can Toronto continue its reign as the FinTech capital of Canada and beyond? Canadian engineering schools are churning out the future of artificial intelligence and machine learning. Are these technologies starting to materially affect FinTech and where are the current limitations? And much more! For more information, visit the event website.